Going by news reports of March 14-15, India has conducted a 'Third Surgical Strike' in Myanmar; Operation 'Sunrise' jointly with the Myanmar Army (Tatmadaw). This operation from February 17 to March 2 was to neutralize militants along the Indo-Myanmar border, thwarting threat to the Kaladan Multi-Modal Transit Transport Project which is to connect Kolkata port with Sittwe Port in Myanmar. Militants targeted were 'Arakan Army' and in a subsequent phase of 'joint operations' the National Socialist Council of Nagaland-Khaplang (NSCMN-K) was also targeted. 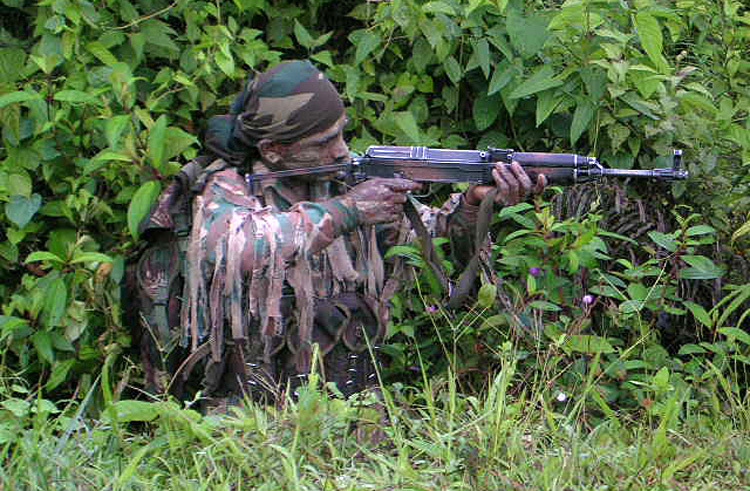 Indian participation included Special Forces, Assam Rifles and some other infantry units. The report says, the first phase targeted newly constructed camps bordering Mizoram. The second phase targeted the NSCN (K); their camps were destroyed up north around 1000 km away bordering Arunachal Pradesh. The 7000-strong Arakan Army is the armed wing of the United League of Arakan, with its headquarters at Laiza in Kachin State of Myanmar. In the last two years, Kachin Independence Army (KIA) that trains the Arakan Army had reportedly readied around 3000 cadres that moved to the South close to areas adjoining the Lawngtlai district of Mizoram. It may be recalled that over 400 soldiers from six battalions led by the Hkamti district tactical commander under the Tatmadaw's North-West Command had already taken over control of the NSCN-K's headquarters in the village of Taga in Nanyun township on January 29, 2019 albeit the NSCN-K withdrew without fighting. Presently, a number of NSCN-K leaders are in Tatmadaw's custody. Although this was reported in our media, the government remained tight-lipped on the Tatmadaw's action against NSCN-K. Attempts by media to reach R.N. Ravi, the government's interlocutor for the Naga talks, particularly on its impact on the ongoing peace process and confirmation in regard to the participation of the Indian Nagas of Khaplang group in the talks, failed to evoke any response. News reports of Operation 'Sunrise' mention that the Myanmar Army had also conducted operations against ULFA camps near Taga area and a senior ULFA leader, Major Jyotirmoy Asom, was killed in an encounter with the Tatmadaw. Why the Indian Army did not bid for joint operations with the Tatmadaw to attack camps of insurgent camps in phase two is not known but if these insurgent are targeting India, all the more reason for us to go all out in conjunction the Tatmadaw. Surely we are not short of troops in the northeast in addition to two dedicated Special Forces units, and more of the latter ready to move in from other commands even if there is hesitation to commit the Special Forces unit designated as Army Headquarters Reserve. There was no reason for India's half-hearted approach, especially with news reports that China is behind the recent violence in Arunachal Pradesh. The bit about Myanmar Army hitting insurgent camps, occupied by insurgents targeting India, some 1000 km from the border of Arunachal Pradesh appears crude attempt to cover why India stopped short of phase one of Operation 'Sunrise' because the width of Myanmar itself at the widest is only 903 km. Why would insurgents targeting India establish camps across or along the eastern border of Myanmar? If the Arakan Army is threatening India particularly the Kaladan Multi-Modal Transit Transport Project, the least we could have done was to bid for joint operations with the Tatmadaw to hit the Arakan Army Headquarters at Laiza on the India-China-Myanmar tri-junction. As per latest reports, India has deployed additional troops along the international border with Myanmar to thwart attempts by rebels and refugees to sneak into the country. It is the right thing to do and probably means continuation of Operation 'Sunrise' unless a new name has been accorded to the operation. This additional deployment has reportedly offended not only the state government but a large section of civil society organisations in the border state, which have been lately rooting in favour of China. The state government has lodged a complaint with Ministry of Home Affairs (MHA) arguing that law and order is a state subject and any decision to station central forces must have the concurrence of the State Government. How many insurgent camps were targeted and destroyed under Operation 'Sunrise', which officially has supposed to have ended on March 2, has not been revealed. There are also some inputs that Indian participation was largely to block insurgents entering India. Home Minister Rajnath Singh recently mentioned India had conducted "three surgical strikes". Was his announcement after the decision was taken to release this information through the media? 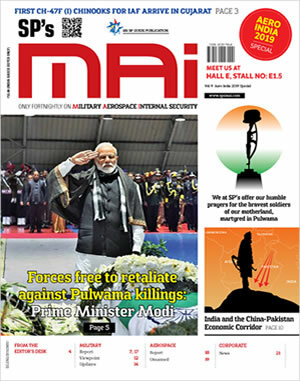 Is this another 'surgical strike' on approaching general elections, even as some posts on social media term it a diversion from the "stolen" Rafale papers and lack of guts to prosecute concerned MoD officials who deserve five years in prison under the Official Secrets Act (OSA) for 'losing' highly classified documents. In the final analysis, Operation 'Sunrise' was a good initiative and very much warranted. But overall, India has been taking baby steps in sub-conventional warfare which became the 'new normal' decades back. Forget Pakistan, China is past master in this type of war. Concurrent to Prime Minister Narendra Modi announcing the 'Act East Policy' (AEP), Chinese intelligence formed the United Liberation Front of West Southeast Asia (ULFWSEA) combining 10 northeast militant groups of India including NSCN-K and ULFA. The Arakan Rohingya Salvation Army (ARSA), headed by Pakistani-origin Ata Ullah is supported by Pakistan, Saudi Arabia and China. Recent reports indicate China is offering $6000 to Rohingyas in Bangladesh individually for returning to Myanmar. Why would China, who is skinning countries through 'debt trapping', do so? Obviously this is to recruit more proxy cadres. Stands to reason India needs a comprehensive sub-conventional policy against both China and Pakistan. Whether India is geared for this remains the question?